Teen life. Truth be told it’s probably the best phase of our lives. Come on – fess up. Remember growing up? Learning all about life, pushing boundaries, experiencing everything as new? What a time to be alive! 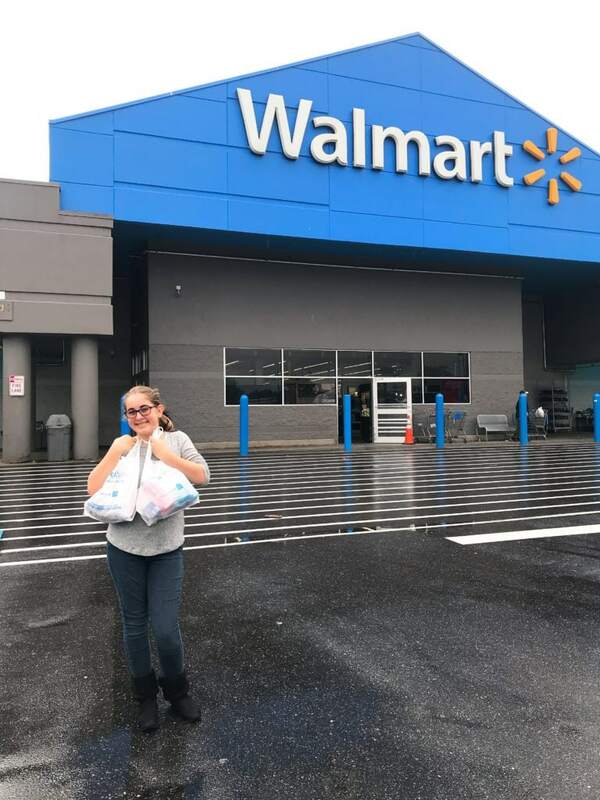 I have such fond memories of the 90s and now that I daughter who just became a teen herself, it’s so great to see her stepping onto this freshly paved path as well. But I’m no fool. A teenager will face many highs and lows – teenage acne being a struggle that most will have to battle for years to come. I talk about this quite often on my blog. I am an adult who still suffers from acne. It’s a hard truth but something that can absolutely be managed as long as you stay on top of it all. It’s important for parents to help their children find teenage acne treatments that work and be the first in line to show them how to properly use them. This will ensure a great system is put in place which will lead to a long life ahead filled with stress-free beauty routines and a million selfies. Since I am someone who suffers from acne, I know how important it is to stick to a routine. If you skip a few days, it can truly impact your skin and the results will not be something your teen will enjoy. That’s why it is critical for parents to get children started off on the right foot. 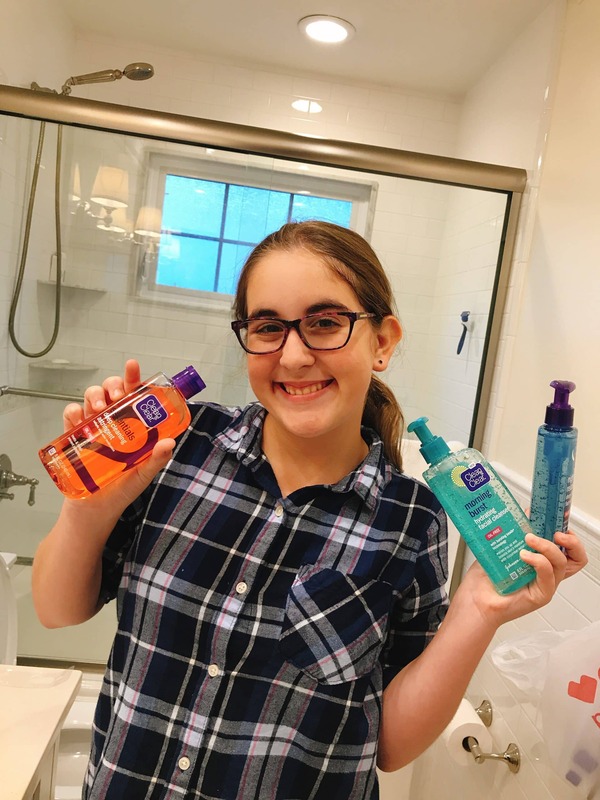 We introduced Natalie to Clean & Clear® right away because the product line was created with teens in mind. No harsh chemicals to disrupt their naturally sensitive skin. While teenagers are still getting used to new hormones and new AP schedules, the last thing they need is to worry about products that work against them! Clean & Clear MORNING BURST® Facial Cleanser –A gel cleanser specifically formulated with Vitamin C and Ginseng that helps wake up the skin. Clean & Clear Oil Absorbing Sheets –Super soft sheets that soak up excess oil and removes shine. PERSA-GEL® 10–Acne medication that works immediately on acne. Clean & Clear ACNE TRIPLE CLEAR® Cleansing Clay Mask –A natural clay face mask that offers a deep cleanse. Clean & Clear CONTINUOUS CONTROL® Acne Cleanser –An acne cleanser that removes dirt while giving back acne medicine to help fight and prevent future breakouts. Clean & Clear ESSENTIALS Dual Action Moisturizer –A moisturizer that is proven to fight and prevent acne. Clean & Clear Blackhead Eraser Scrub –Gently removes trapped dirt, oil, and dead skin that can clog pores and leads to breakouts. Clean & Clear DEEP ACTION® Exfoliating Scrub –Cleanses pores deep down while gently exfoliating the surface skin. Clean & Clear Night Relaxing® Jelly Eye Sheet Mask –A cooling sheet mask that soothes and replenishes skin. If you don’t know where to start, I wanted to walk you through a typical daily skincare routine that you could suggest to your teenager. Start off with teenage acne treatments that work and then get your children into a habit. Make sure they are eating the right types of foods and steer them clear of any foods or drinks they might be sensitive too. Last but not least, remind your teens that stress can physically impact their faces. So, a few deep breaths go a long way. These are truly the tricks of the trade! Let’s break down the skincare routine for I recommend for teenagers that suffer from acne. Cleanse your face daily: In order to avoid build-up of oil on the skin’s surface, encourage your children to use a gentle cleanser on a regular basis. Preferably once in the morning and once at night. I recommend Clean & Clear Morning Burst Facial Cleanser as your teen’s AM cleanser. It’s formulated with Vitamin C and Ginseng to wake up the skin with fresh citrus scent while giving a burst of energy leaving the skin feeling clean, energized and ready to face the day. Exfoliate: You should never exfoliate more than a few times a week. It’s just natural for pores to become clogged. Remind your children to never scrub too harshly and avoid products that noticeably irritate your skin. Clean & Clear’s Deep Action Exfoliating Scrub is a great gentle exfoliator for teens to try out! Tone: The lost art! So many people – adults alike – forget to use toner! Toner will help remove any lingering oil or soap that might be left on your skin after cleansing. It’s one extra step you shouldn’t let your teen forget. Moisturize: When you take away, you must always give back. That’s a huge general beauty rule and it’s probably the most important one to teach your teenagers when they are just starting out. Whenever you wash or exfoliate, you should always moisturize or give something back to your skin. SPF: There is a hard fast rule when it comes to SPF. People should use SPF all year long – not just in the summer. We need SPF during the winter just as much as we do in the summer. You also only need SPF when you know you will be exposed to the sun. This is why you should never apply moisturizer to your skin at night before you go to sleep that contains extra ingredients you won’t be needing. You will notice that night creams will lack this addition. Masks: Masks are a really fun way to get your teens excited about a new routine. 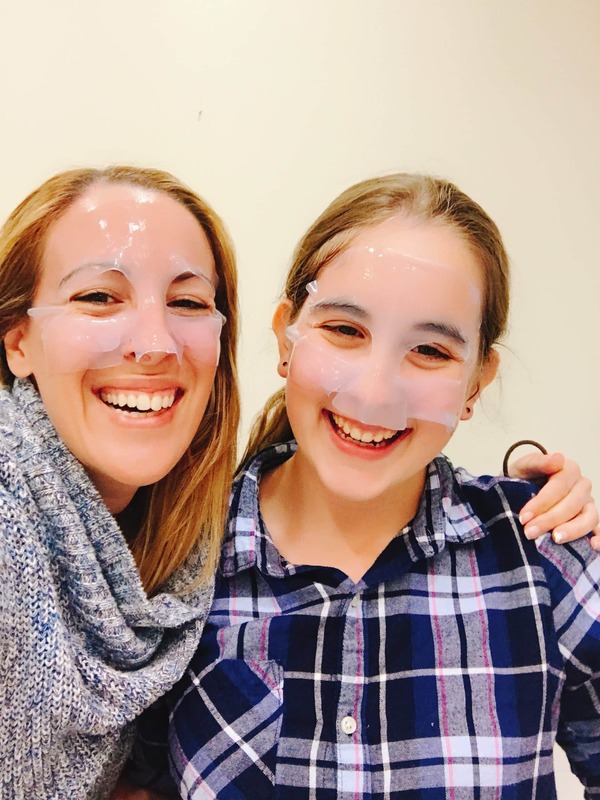 You can make it a weekend activity if you’d like, but make sure you teach your teenagers that masks are a great way to add a boost of goodness to your skin. A quick ZAP of vitamins and antioxidants. 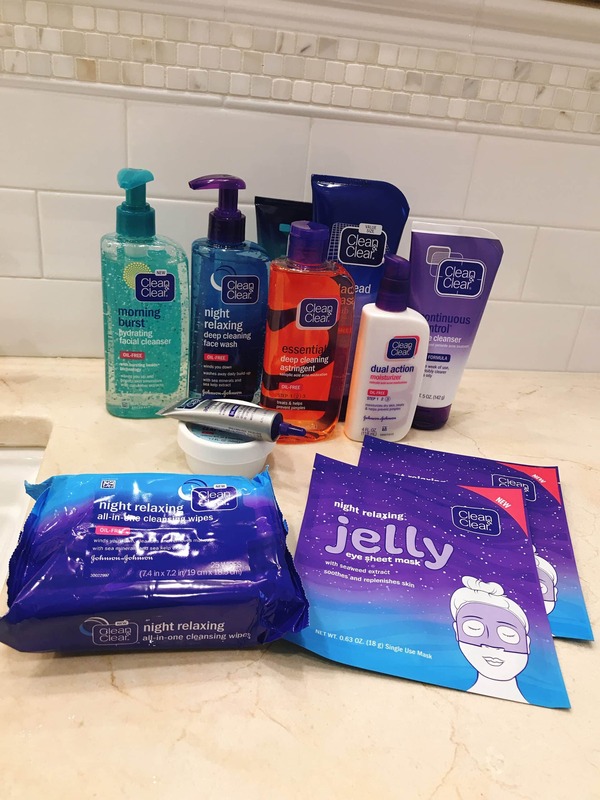 With the Clean & Clear Night Relaxing Jelly Eye Sheet Mask, my daughter can relax and reconnect at the end of long school days while replenishing her skin. If you are in the market for teenage acne treatments that work, look no further! Clean and Clear has you covered. 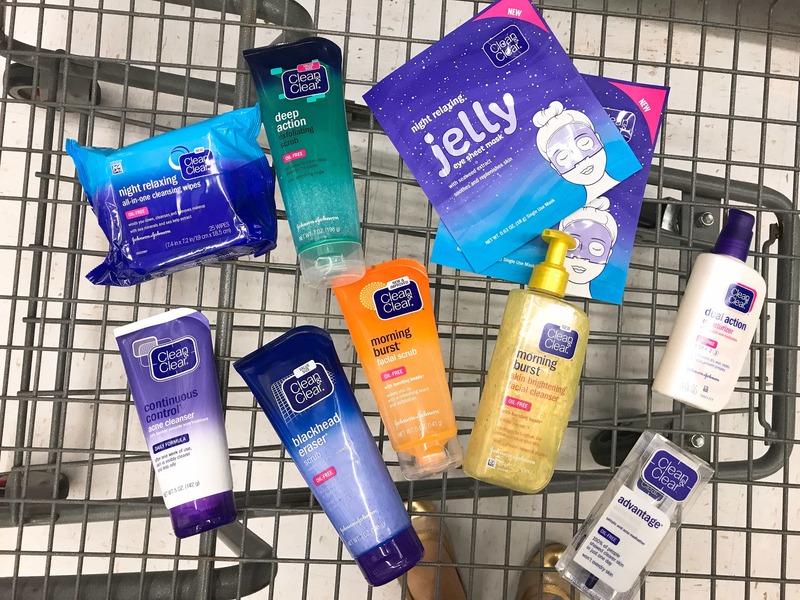 The entire line is gentle enough to use, is complete enough to tackle any teen skin issue that your children might come across, and is available at most retailers across the nation and online. Do you have a teenager that is dealing with acne? Are you trying to get ahead of the curve and beat acne before it even begins? Have you started to have conversations with your teen about their acne beauty routine and how they can gain control of the situation? Would love to hear what tips you might have to share. Thank you for these skincare tips. I suffered from acne as a teen and I am trying to help my teenage son escape that phase. My son has been dealing with acne for as long as I can remember. Even now he has terrible back acne. Teaching them to take care of their skin early on creates a habit that will stick with them. My girls aren’t quite there yet, but if the time does come, I will keep your tips in mind.